Portable storage containers (often referred to as Conex boxes) are ISO standard shipping containers and require no foundations or structural assembly. 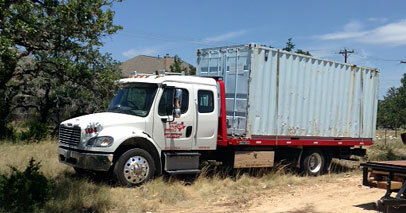 Texas Auto Carriers can move your empty shipping containers down the street or across the state. We use our tilt-bed trucks to move these 20’ and 40’ vessels. Typically these containers will have an empty weight of 2 tons to 4.2 tons. 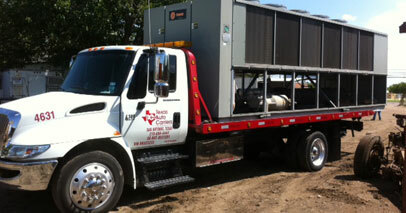 Armed with experienced staff, technology, and the right equipment, Texas Auto Carriers has become a leader in the Container Transport Industry. 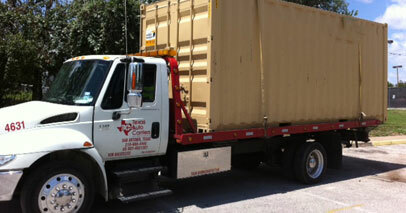 Call us when you need to move your next Shipping container.